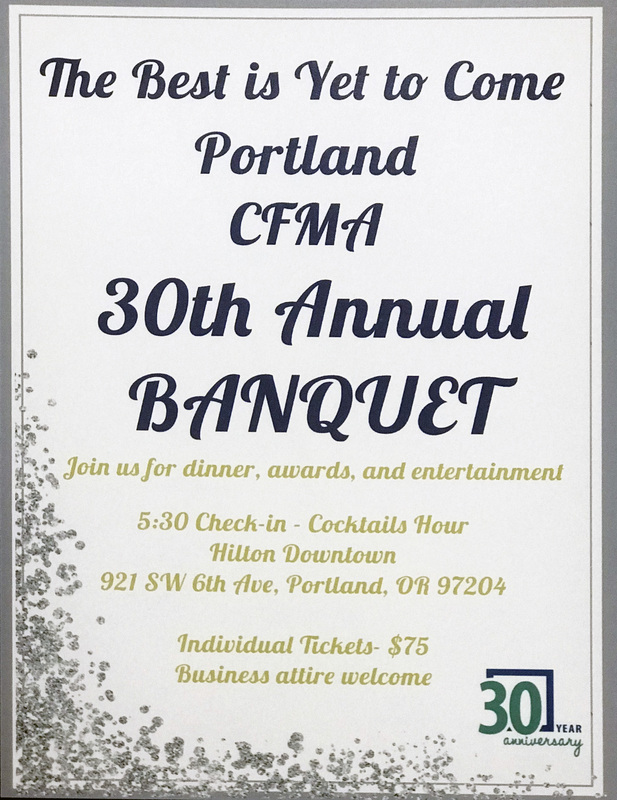 The Portland CFMA is proud to present the 30th Annual Banquet and Awards ceremony on Friday, May 3, 2019 at the Hilton Downtown. We would love to have you, a guest and members of your company join us as we celebrate another successful year. As always the event will boast cocktails, dinner, and entertainment. As well as a chance to mingle with other professionals, awards and the introduction of our newest board members and leadership. As with years past, our costs for the event will be covered by a combination of ticket sales and corporate sponsorships. Corporate sponsors will be recognized and thanked in our promotional materials, event program and slideshow that will run during the event. As members of firms that do business with other CFMA members, we hope that you will recognize this as a great opportunity to promote your business, connect with existing customers and build new relationships. As of March 2019, the Portland Chapter has 132 active members. This is a great chance to have your company highlighted among your peers. Thank you so much for your continued support of the Portland chapter, we hope that you and members of your firm can join us for the banquet and please consider participating as a sponsor. Additional sponsor details are provided below.